I am starting off the year with a new, regular feature for the blog. A short break between makes to share what inspires my sewing. Wanna Be Sewing X kicks off with a mini homage to my latest obsession: knit dresses. This winter, I am all over cute, comfy, fit, and flare. Patterns like Colette’s Moneta, Vogue 8646, or Bluegingerdoll’s Violet could get me that fabulous-frock-as-secret-pajamas look I am after. What has been inspiring your sewing this season? This entry was posted in Sewing Inspiration and tagged inspiration, knit dress, polyvore, sewing, winter fashion. Bookmark the permalink. That’s a fabulous idea. Nice to stay inspired, and share said inspiration, in between projects. Glad you dig it. Mood boards and snoop-shopping are great distractions from projects that are dragging on ;-). As for me, pure selfishness is inspiring my sewing this season — what I want, how I want it, when I want it. 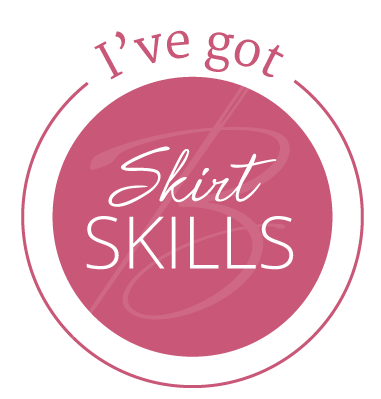 I tend to sew skirts when I get into this mood, and sure enough I’m working on a skirt. Hey, I’ve still got those loose pages hanging around, too! But, lately, I’ve been playing around with Polyvore and appreciate the quick assembly. Selfish skirt sewing is the perfect instant make gratification. Got a couple on my mind now. Thanks for dropping by, Ebi. Beautiful garments! My sewing season is inspired by retro flair and knit (easy) pieces. I am actually up now contemplating my birthday dress. My day is in 30 minutes… 1/9/15. I will post pics on my blog. Retro flair and knits? We are on the same wavelength…you can’t go wrong with comfy and stylish. Happy Birthday dress to you! Thanks for the note.